Crossing the Charente River the impressive fifty metre tall Rochefort transporter bridge can be seen on the way to the Ile d’Oleron just after you leave the town of Rochefort and go over the viaduct bridge. It is the only surviving transporter bridge out of five bridges that used to operate in France and one of the last eight remaining in the world. The construction of the bridge began in 1898 and two years later the bridge was inaugurated on the 29th July, 1900. 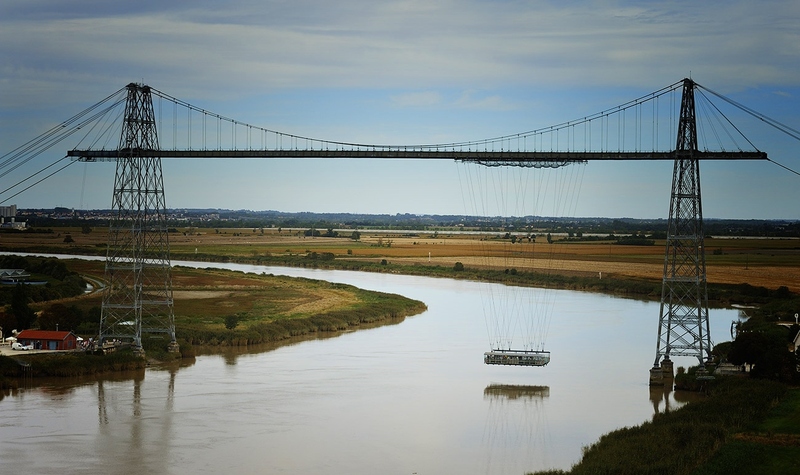 Several plans for bridges had been submitted prior to the transporter bridge but none had been successful. 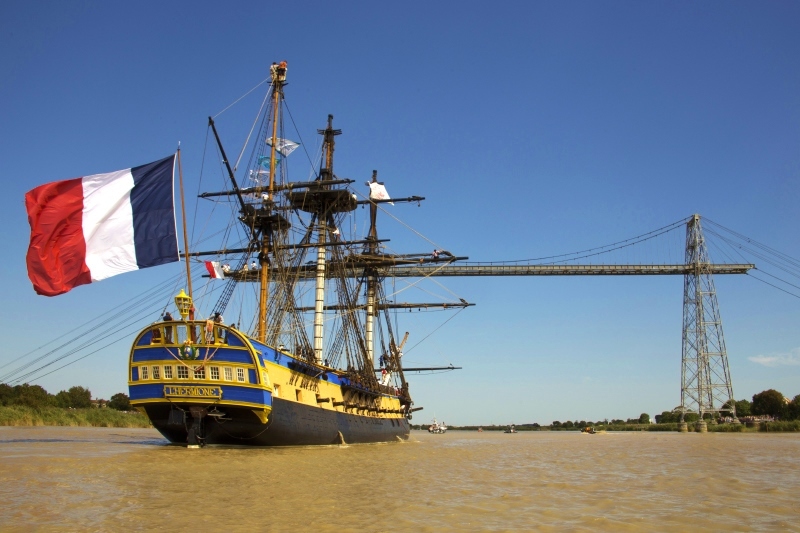 The big problem was the French Navy (Rochefort was home to a major Naval base) at the time required a minimum of 50 metres space at high tide between the top of the bridge and the water so they didn’t have to demast the tall sailing ships when passing under the bridge. The bridge was designed by Ferdinand Arnodin, a French engineer who specialised in designing and building cableway transporters using the technology of both suspension bridges and cable-stayed bridges. 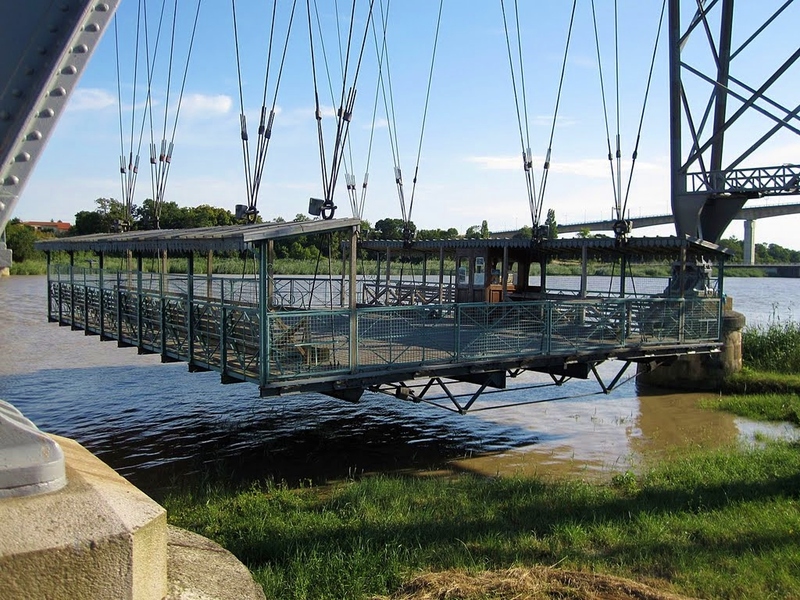 His factory was based in Chateauneuf-sur-Loire and prefabricated the metal structures used for his bridges. The original bridge used a steam engine to power the platform crossing the river but this was replaced by an electric motor in 1927. With a weight limit of 14 tonnes the platform was designed to take a ten horse drawn carriage and 50 passengers or 200 passengers on their own. During the 1960s the platform struggled to cope with over 1000 vehicles a day trying to cross the river. A second bridge ‘a lifting bridge’ was commissioned and built in 1967 to help ease with the flow of traffic and the transported bridge became surplus to use. Due to be demolished some of the locals recognised the significance importance of the bridge and ten years later it was classified as a historical monument on the 30th April, 1976. 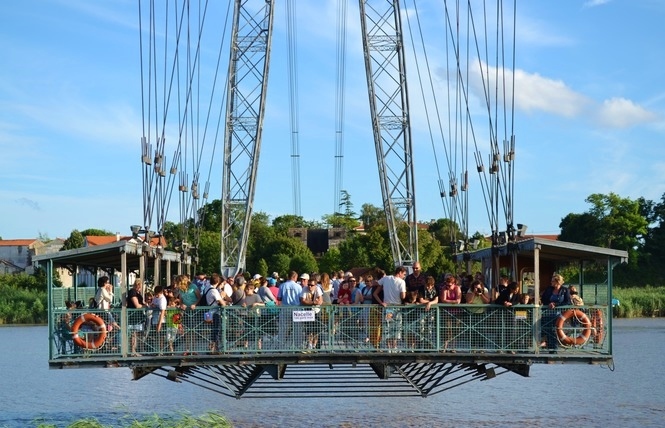 It underwent significant restoration between 1990 and 1994 and today is operational and available for pedestrians and bikes to cross the Charente in the summer. 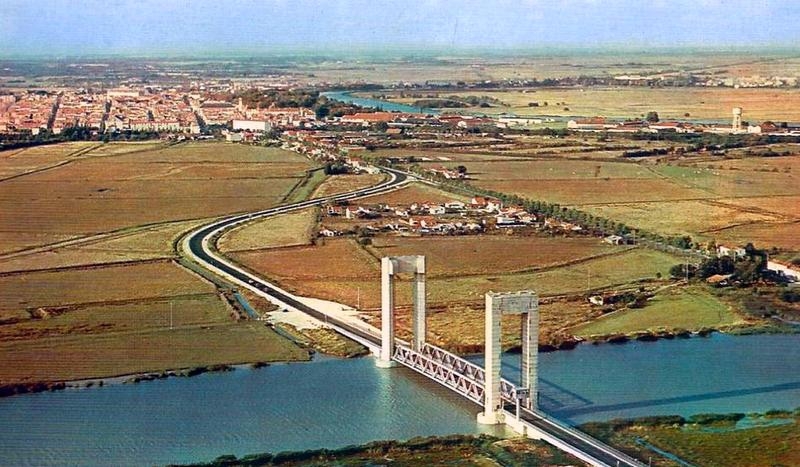 Finally in 1991 the giant concrete viaduct which you use today when leaving Rochefort on your way to the Ile d’Oleron was constructed. The transporter bridge is currently closed for maintenance and won’t be running throughout summer 2017. However you can still visit the bridge and have a nice walk alongside the Charente. On the Echillais side of the bridge there is the Transporter House which houses a small museum about the bridge and café. 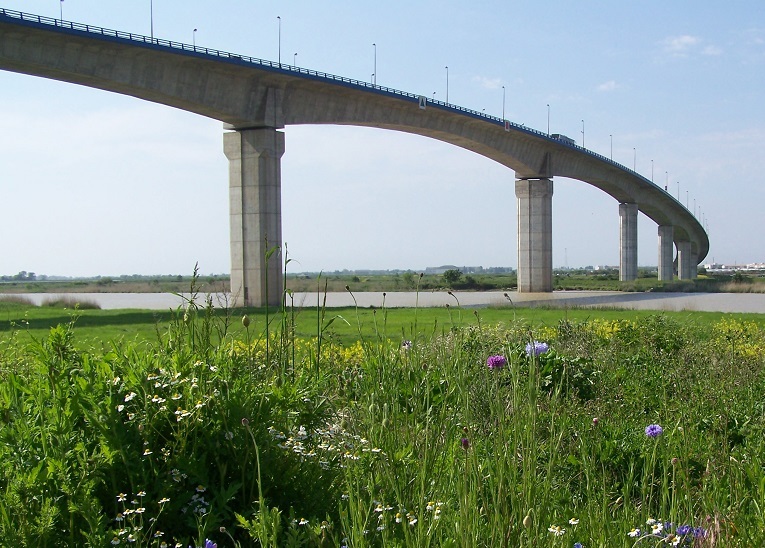 We have still got dates available on the Ile d’Oleron for summer 2017…..send an email to info@thomasjamesholidays.co.uk or give us a ring on 01942 602104 so you can see the Rochefort Transport bridge in real life!